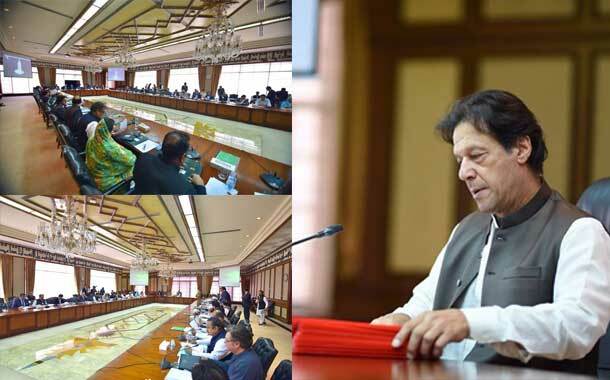 ISLAMABAD: Prime Minister Imran Khan on Thursday chaired the meeting of the federal cabinet here at the PM Office. The meeting attended by federal ministers and senior government officials discussed the agenda related to finance, taxes and other important areas. Government introduced necessary changes in the Finance Act 2018 to make it more relevant to the current economic state of the country. The federal government introduced amendments in the Finance Act 2018’s Income Tax Ordinance, according to which the relief on income tax range has been reduced for salaried persons. For an annual salary of 0.4 million rupees, no tax will be applied, while for Rs400,000 to Rs800,000 annual salary, tax will be Rs1,000. For Rs0.8 million to Rs 1.2 million rupees annual salary, Rs2,000 tax will be applied. Meanwhile, for those earning from Rs1.2 million to 2.4 million rupees, five per cent income tax will be applied. According to the new amendment, for those earning Rs2.4 million to 4.8 million rupees, tax will be Rs 60,000. For those earning more than Rs4.8 million yearly, a fixed tax of Rs300,000 is payable in addition to 15 per cent of the salary amount above this limit.